I recently got a photograph featured on the front page of Rafu Shimpo. 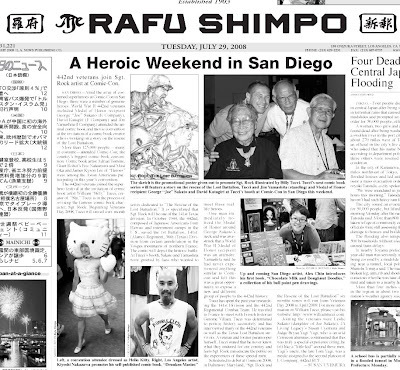 They did an article about asian artists at the SD Comic-Con. Thank you Ayame for including me in the paper.